Comment: Painting exterior of 1853 farmhouse. Comment: Update paint on a 5 year old home. Approx 1200 sq. ft. Comment: Paint on siding is peeling. Some wood rot on framing around windows. Comment: New home sided with cedar shingles that were pre-treated with clear preservative prior to installation. South facing side has an aprox. 14' long deck. Water from eaves has splashed onto the siding in that section -- needs re-staining. Relatively small job -- 1 exterior wall, about 14' long x 8' high, with 3 large windows. Comment: Need brick exterior of storefront painted. Not a large job. Probably no more than 200 sq ft. There is one window and one door to paint around. There is no access to water at site. Comment: Trim needs a fresh coat or two of paint. The trim is currently green and I want to change it to more of an almond color. There is a little bit of water damage near a couple of doors but my husband will fix that prior to painting. The house is quite large so there are 35 windows, three entrance doors and one sliding door, some porch columns and trim around two garage doors. I would also like the three entrance doors to be painted red. We would like to get this job done sometime this summer. Comment: Need to repaint a bathroom and also in living room ceiling. Middlebury Painting Contractors are rated 4.82 out of 5 based on 23 reviews of 4 pros. 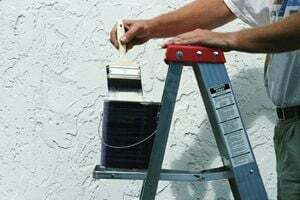 Not Looking for Painting Contractors in Middlebury, VT?